A couple of years ago a picture of a lace dress became an internet sensation when some viewers saw it as black and blue and others saw it as white and gold. I was in the white and gold company and my mind was officially blown. 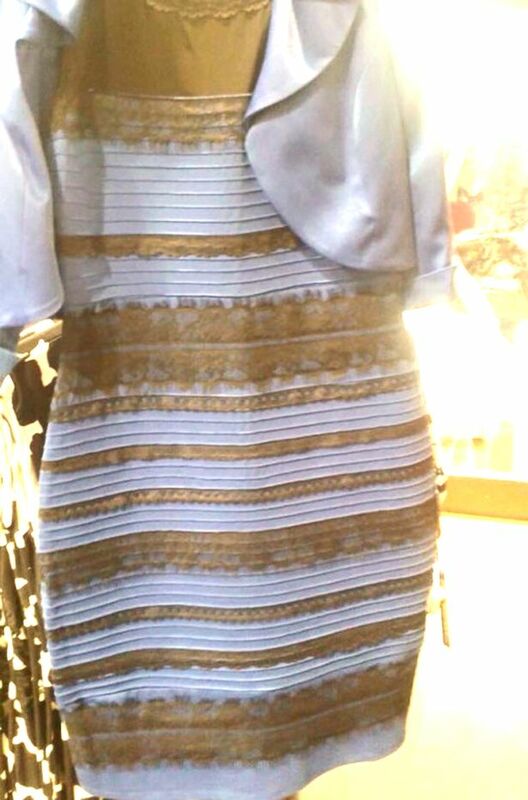 “How on earth could anyone see it as black and blue when it is clearly white and gold?” I said to anyone who would listen. To my astonishment, some of my friends saw black and blue as well! “What is this craziness?” I asked. Call it curiosity, or stubbornness, I wouldn’t give up until I knew the answer to this seeming paradox. The manufacturer of the dress soon gave it: the dress was black and blue! That was the truth, even though I had seen and (passionately) believed something different. Isn’t life like that? People see things differently, agree to disagree, and contend for personal views. But at the end of the day, there is an absolute truth revealed. Or is there? Awhile back I did an extensive amount of research on the validity of the Bible. I poured through historical and archeological documents and secular eyewitness accounts like Josephus, who was a first century historian. I discovered that the evidence for the integrity and validity of the Bible is truly overwhelming. Did you know there is literally more evidence for the Bible than any other piece of classical literature, including Plato and Shakespeare? 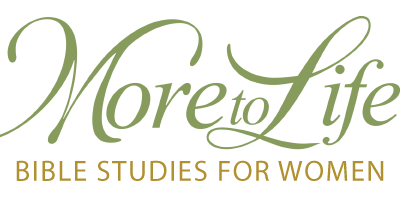 Right about here in this Bible Study blog is where I figured I would bullet-point an extensive list of facts that would help the reader to be totally convinced that the Bible came from God, has been purely preserved, and is the only source of absolute truth in the world. Instead, I will share my personal journey into truth, what I discovered about the Bible, and why I almost lost faith in it. Early in my adult life, I put the Word of God to a test. Although I was raised in an environment of much fear, I noticed that the Bible says we should “walk by faith” in God (2 Corinthians 5:7). It also says that if we will make God our first priority, He will take care of us and provide all of our needs (Matthew 6:33). Since I had been raised in very unstable circumstances, this was scary for me. When I was 19 years old I was on my own with a great job and finally had stability in my life. But one day I was informed that the company I worked for would begin scheduling me every Sunday. I knew the Bible said I should make the kingdom of God my first priority, but if I lost my job I didn’t have another home to run to. With much trepidation I decided to try God’s Word. I gave the company my two week notice, and continued to go to church. A few days before my job ended, I received an offer from a better company, with better hours and benefits, and the same amount of money. I started my new job the next week. Many people have wrong impressions of the Bible because it has been misrepresented. Instead of actually reading it, they will take someone else’s opinion, or look at the discrepancies in a Christian’s life, and begin to believe the Bible is a hoax. I almost fell into this trap as a young adult because I had been greatly hurt by people who quoted the Bible. When I began studying the Bible intensely for myself, I discovered three things: one, its motive is love; two, its promises are true; and three, its principles work. Many times when I felt all alone, I would read the scriptures and feel the sweet love of God comforting me through the pages. When I applied its principles, I experienced peace, order and purpose in my life. Consequently, I learned not to judge God and His Word by the actions of others. Many people today think the Bible is outdated. If they would actually read it, they would know that humans live in time, but God does not. Since God is the creator of time, wrote the Bible (1 Peter 19:21, 2 Timothy 3:16-17), and exists in the past, present and future, His words are truth for every age. “His truth endures to all generations.” (Psalm 100:5). “Heaven and earth will pass away, but My words will by no means pass away.” (Matthew 24:35). Praying to the Father, Jesus defined truth in four words: “Your word is truth.” Boom. After all the great philosophers and geniuses have their say, it all comes down to this: God’s Word is truth. Like the black and blue dress, opinions abound, but you cannot change the truth. I opened the Bible for the first time about 3 years ago, and it has just always made sense to me. One thing after another kept coming together and I fully believe it was because I asked God to help me understand it deeply. When everything else failed, His Word did not, and it has been a lifeline ever since. I had been searching for something only the Word of God could provide. Thank you for sharing this, I think many people don’t trust it because they’ve been told there are contradictions and they don’t realize it is divinely written truth or they are intimidated by it, but when a person is hungry and searching it will come to light and give life. Hi Jillian! Yes, a hungry heart always precedes finding real food. When a person is truly hungry and spiritually malnourished they will read the Word with an open heart. I am so thankful that you opened the Word and were led (and fed 🙂 May you continue to follow wholeheartedly after Jesus – He has designed your life for beautiful things! This was a huge blessing. Oh how I desire to know His word better. I’ve experienced similar things. I’m thankful we have Truth!